Ready to Improve Your Temperature Management? Tell us a bit about yourself and a Mogul representative will let you know how we can improve and automate your cold-chain management system. 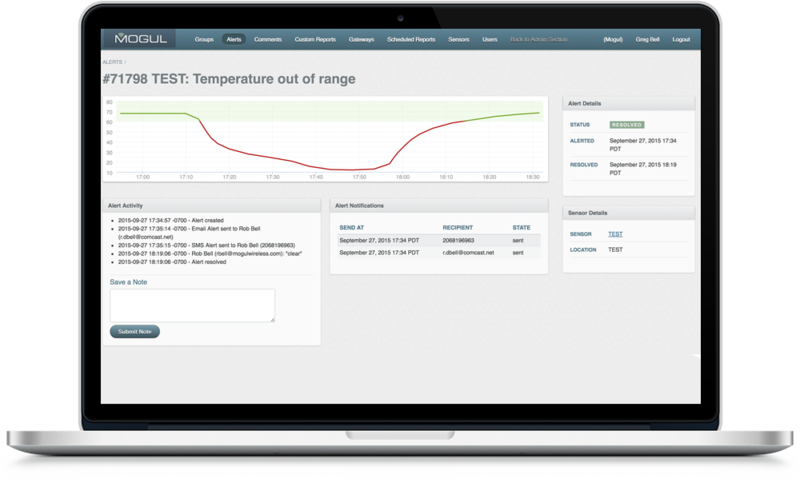 Mogul combines the IoT with temperature management for effortless humidity and temperature monitoring for business owners across North America. Based in Seattle, WA, Mogul Wireless is an innovator in the US cold-chain industry and a pioneer in the internet of things. Since 2008, we have developed leading wireless, online temperature monitoring software for healthcare, lab, and pharmacy facilities. Proudly providing sales, complete installation, and immediate support all across North America. Mogul’s 24/7 real-time temperature and humidity monitoring system will enhance your cold chain logistics from day one. Our intelligent monitoring system tracks, troubleshoots, and alerts independently, eliminating the need for manual record keeping and reducing your spend on maintenance, labour, and damaged inventory. We provide complete system installation for all medical retail or outpatient spaces, and offer dynamic tracking solutions to accommodate your unique data requirements, facility size, and workflow. The small motes (sensors) installed in our monitoring equipment automatically record and organize your temperature data so you don’t have to. Access your facility information anywhere, anytime through Mogul’s secure, encrypted servers. Customize your report to suit your facility’s data and metric needs. Mogul will notify you immediately if your network interrupted or damaged. Real-time system alerts offer the best monitoring and temperature control practices. All alerts are documented on our secure network. "Mogul has been an important medication safety feature for our small hospital without 24 hour pharmacy services. It enables RN’s covering pharmacy after hours to be alerted promptly of medication refrigerators that are out of range and during pharmacy hours, both the RN’s and pharmacy staff are alerted electronically. Staff are alerted, resolve, and document resolution of refrigerators out of range within 60 minutes consistently." Mogul works for all medical spaces. Read our White Paper to learn how. The network hardware runs on a low profile operating system that maximizes security and offers powerful data steam lining capability. Current configurations provide for a three day data retention capability in the event of a network outage. No historic data is retained in onsite hardware. The dual input temperature transmitter provides internal measurement and external thermistor options in a single device. The on-board sensor is excellent for monitoring ambient indoor temperature, and the external sensor is user selectable to match your application. The high power repeater with intelligent transformers amplifies transmission from any EchoStream series transmitter while ignoring background noise. The repeater is ideal for large facilities such as multi-floor buildings, multi-building sites, shopping malls, campuses and other open-air installations. The Temperature/Humidity Transmitter is designed for extreme environments where condensation, frost, temperature, or humidity fluctuations are a concern. 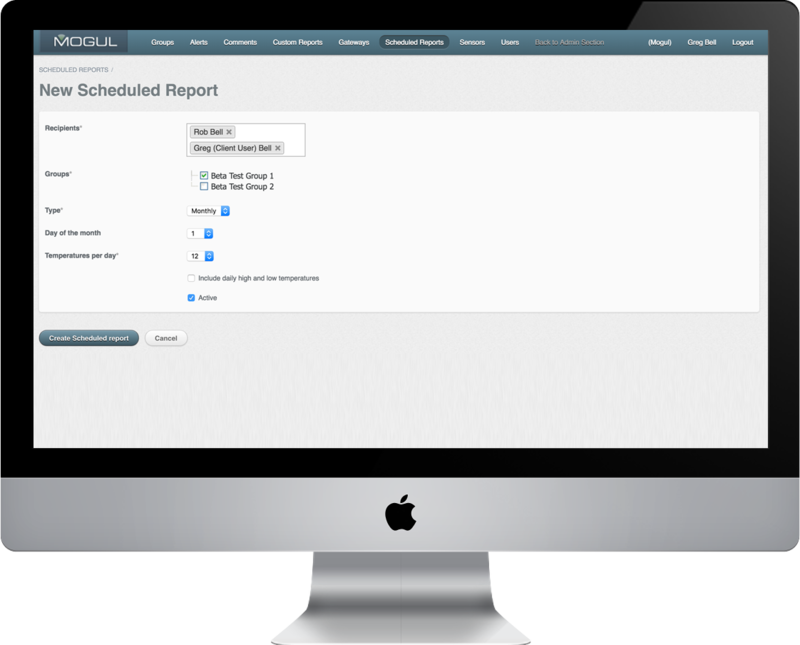 See how Mogul can improve your health care facility today.